With the help of a new hack from developer Adam Bell, you’ll soon be able to put Apple’s CarPlay on your iPhone 6 and try it out without the need for a compatible in-car infotainment system (via CultofMac). The upcoming hack however requires a jailbroken iPhone, means you’ll need to give Pangu’s recent iOS 8 jailbreak a go before trying this CarPlay Cydia tweak. 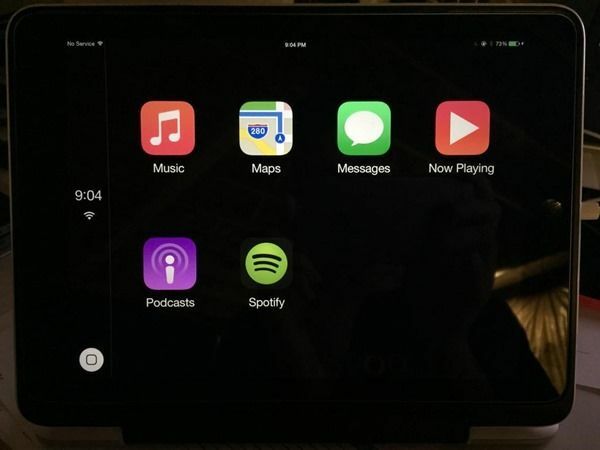 Despite not quite being ready for primetime just yet, Bell’s nifty jailbreak means that users will be able run Apple’s CarPlay software on iPhones and iPads, as seen in the above picture. There’s no ETA on the tweak’s release form the developer yet but we’ll be sure to update you once it’s available for download in the Cydia store. Last month, Consumer Reports went hands on with CarPlay for the first time, saying that its simple menus, easy navigation, and excellent Siri voice command integration can definitely reduce driver distraction.